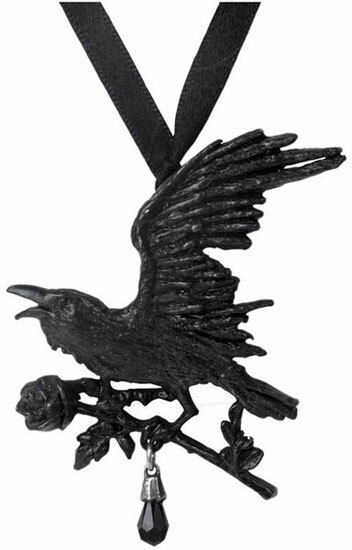 Black raven pendant carrying a black rose with a dangling crystal. 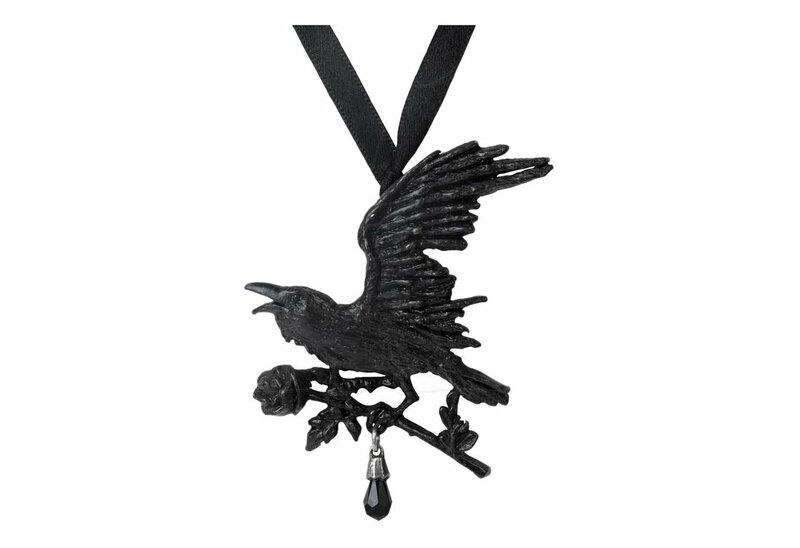 Made of fine English pewter with Swarovski black crystal and a satin ribbon. Measures approximately 3.03 inches wide, 1.96 inches high and 0.16 inches deep. Imported from the UK.